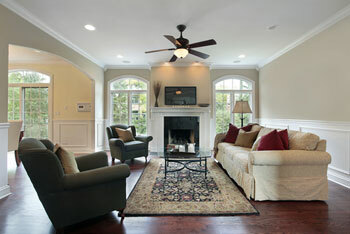 OK so you are reviewing decorating ideas for your living room and you would like to change the overall colour scheme. 1. Buy a new sofa. 1. Cost - it should work out much cheaper than buying a new sofa or new covers. 2. You may be able to choose any colour rather that be limited to the colour of new sofas/covers. 3. There is an obvious environmental benefit to re-cycling your existing sofa covers. The living room is the central hub of activity for most homes having to cope with, family gatherings, visitors, celebrations, quiet relaxing or romantic moments or just watching the TV or reading. Are you happy with how you feel about it or do you need to give it a refresh or change of mood. 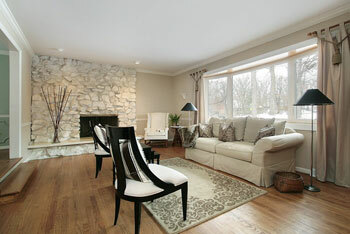 A well-decorated living room is usually centred on a focal point. For many people this focal point is the sofa, so when considering decorating ideas for your living room this is an ideal starting point moving out from here to get inspiration for the rest of the room. With the ability to change the sofa to any colour you can bring your creative energy into play to change your living room, giving it the personality and feeling you desire. Dark colours and busy patterns tend to make the room look smaller whilst pale colours tend to make the room look larger. Keeping floor colours neutral will help them to blend with any colour scheme, rugs can be added to introduce more colour or warmth as desired. If you choose a shade from a small sample try to imagine how it will look in your room when dyed onto your sofa. Dramatic change may also be overpowering especially with bright colours. An understanding of the basics of the psychology of colour and its effect on the occupants of a room, their moods and the way they interact is necessary to avoid negative stimulus. Reds - Stimulating, masculine, exciting, arousing, passion, associated with warmth. Orange - Er well some people love it! Yellow - sunny, cheerful, and spacious. Though intense citrus yellows can be sharp and annoying. Pale yellow - cool, neutral. Pale blues - associated with calming, space. Greens - calming, associated with nature, very easy on the eyes. Earth tones - intimacy, soft browns and tans give a sense of family and reliability. Purples - magic, fertility, can be overpowering. Black - dramatic and a definite statement. Use accessories to help test colours, if you are not sure maybe leave the walls pale or neutral and choose accessories to add colour and experiment.